Have you ever heard music that left you completely flabbergasted that it made you wonder how it was conceived? 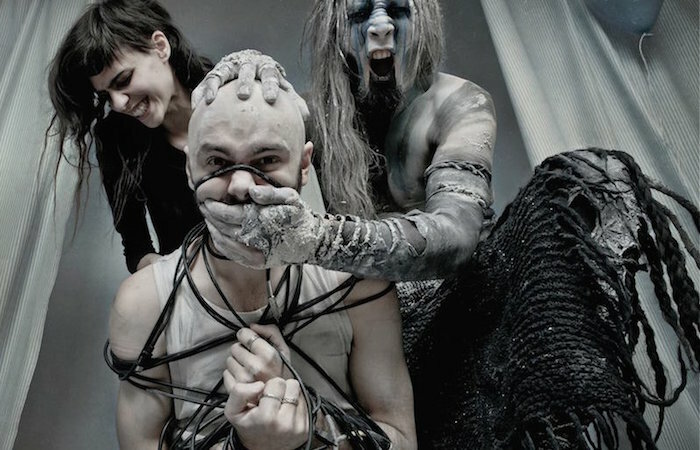 When you first hear it, it sounds like metal, but it’s not metal—there’s something else, another influence that seems to eclipse the “metalness” – but it’s organic in origin and it sounds like it belongs. 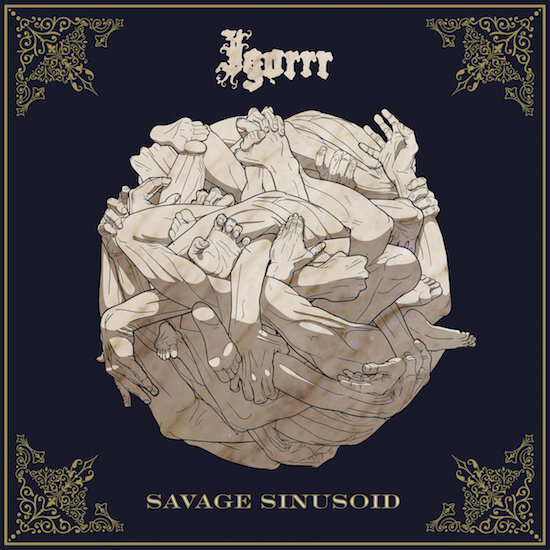 Savage Sinusoid is French project Igorrr’s latest album, and while it’s difficult to describe all the influences, one will find that Savage Sinusoid has something for everyone. There is also a notable flair for Baroque and 40s-inspired French music on the record. While it tends to come and go, this flair is most prominent in ‘ieuD’, ‘Houmous’, and ‘Cheval’. The Baroque flair stems from the operatic vocals and the lack of coherent melody the songs had. In fact, throughout the majority of Savage Sinusoid, the key and meter of the songs seems to change, embracing the unconventional aspects of Baroque. You can also hear an accordion being used, which echoes the aforementioned 40s-inspired French music. While it is only briefly used in ‘Houmous’ and ‘Cheval’, it’s important to note that these accordion parts help break the intense nature of the music. They may sound foreign to a record of this genre, but on the scope of the album, they are an unexpected breath of fresh air that is both welcoming and surprising. However, the album does have its quiet moments, which are found on ‘Problème d’émotion’ and on ‘Au Revoir’. Both songs make use of strings and add a solemn piano, as if giving the listener a break from the onslaught the music has provided. Even the usage of electronic manipulation is reserved, placing focus on the operatic vocals and the piano underneath. What’s ironic about a song titled “emotional problem” is that it shouldn’t be quiet; if anything, it should embrace the high energy and chaos the album has displayed. In the case of ‘Au Revoir’, the last track on the album, it fully embraces the quiet, becoming the most emotional song on the album. It peaks until dropping to that solemn piano, ending the album on a sad note. On the surface this wraps the album nicely, but it does leave some loose ends that are left unresolved. This brings up an interesting question that came up while listening to Savage Sinusoid: is there a problem with eclecticism? To answer this question, one has to focus on possible drawbacks. While its highly eclectic nature is one of the album’s greatest strengths, it can also be its greatest weakness. There is a danger to putting all the things you like in one album: it may sound fantastic and intense on the first listen, but it may not be memorable after each subsequent listen. The ferocity and themes may have made the first half interesting, but hearing more chaos makes the album drag. It becomes unappealing and harder to digest during each subsequent listen, and may translate to some as unbearable noise. Because many of its themes and influences are hard to categorize, the listener may lose interest and reach a musical form of subspace to escape its onslaught. In short, Savage Sinusoid takes intense 8-bit video game music, trip hop, death metal, and Baroque-style classical music; puts it in a blender; adds a garnish of electronic music; and then serves it with a shot of vodka. It is a cocktail of music that pulls no punches whatsoever. There are various aspects that the listener can enjoy and focus on, even if they dislike parts of it. There are moments where you don’t know when the metal ends and the electronica begins, but it certainly is different from what you may expect from a project rooted in metal3. From the French flair to the Baroque themes, this album has a little bit of everything and it works to each advantage, even when it doesn’t. After all, what better way to get to everyone’s interests than by putting something eclectic out in the world? 1. I actually saw The Body live in concert when they were on tour with Alcest and you can say that my impression of them was cemented that day. 2.  On the Savage Sinusoid vinyl, side A ends with ‘Problème d’émotion’ and side B ends with ‘Au Revoir’. In this context, it would make sense to have the quieter songs on the album be the last thing you hear before changing sides. Powered by metal, coffee, and research. Documents albums when possible.